Every business needs to incorporate testing and tagging into their health and safety procedure. Our service, available throughout Melbourne, provides workplaces with confidence in their ability to provide employees and clients with a safe, compliant and efficient workspace. An Anmar Solutions test and tag service will ensure that you satisfy the obligations set out in the Victorian Occupational Health and Safety Act 2000 while also ensuring that your workplace is running to its absolute optimum by checking that all your electrical equipment is functioning at its best. We provide clients with technicians that have received the highest training and are experienced in all aspects of the electrical industry. Our technicians are managed by a board of directors that have been involved in the industry for over 40-years. We back our technicians 100% and if you enlist the Anmar Solutions, you can rest easy in the knowledge that your Melbourne workplace is safe and ready for business. An exhaustive series of tests that check your equipment to ensure it is operating safely and also performing at its optimal level. This means that you are satisfying your responsibilities as an employer and also saving yourself money by ceasing to use equipment that is running inefficiently. We provide a service you can rely on by operating with complete transparency. Everything we do is documented and recorded and we pass this documentation on to you. We approach every job with a desire to provide a high standard of workmanship. No stone will be left unturned during our service and we’ll do everything we can to provide our customers with a service they’re happy with. 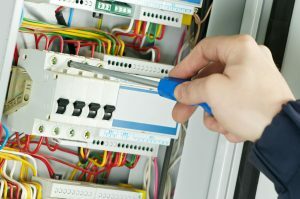 Our service is so comprehensive that you can go through us for all of your electrical performance and safety needs. Our expert technicians will examine all your electrical equipment by performing a series of exhaustive tests. All testing is performed in conjunction with the standards set out in AS/NZS 3760: 2010. We use a top-grade Portable Appliance Tester to test all your equipment before providing each appliance with a unique barcode tag that is linked to our online database, which you can use to check the status of your equipment at any time. We provide you with a detailed report of your findings, which you can pass on to safety authorities to show that you have had your workplace investigated by electrical safety experts.